~Opportunity to add value through increased rent. 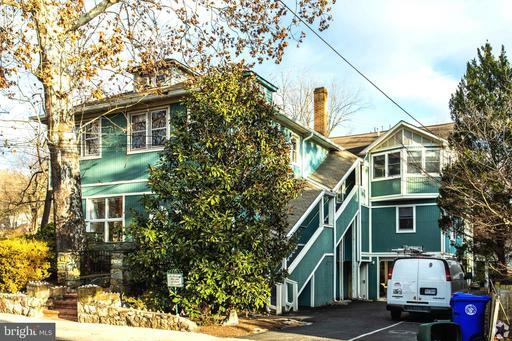 ~Solid investment income with local, historically stable tenancy.~The property is located in the town of Glen Echo, one of Washington, DC's most desirable neighborhoods with rich history and attractive architecture.~The property~s proximity to Washington, DC, Northern VA and Bethesda, MD as well as the vehicular corridors of I-495, I-270, Clara Barton Parkway and Massachusetts Avenue.~Property has excellent visibility and exposure along the MacArthur Blvd corridor. This gives signage potential to users and owners. ~The property~s proximity to retail, food, restaurants and other amenities for employees.~The property has CRT Zoning, therefore it enjoys great flexibility and can be permitted by mater of right many uses, including office, retail or residential.~The property has abundant parking on site that conveys.~The building has been updated recently with floor plates that are divisible and set up for multi-tenancy. ~The building is easily self-managed.~Property enjoys excellent demographics: Median household income= $208,578/year (one mile radius), 2018 total population= 305,240 (five mile radius), Median home value= $930,532 (three mile radius).~The property is set in a tranquil and quiet environment.~The building has ample restrooms and multi-zoned HVAC for each leasable space.~Current private office setup with flexible floor plans.~The property can be vacated immediately upon sale.~The property has good visibility and easy ingress and egress for vehicles. ~The property is fully sprinklered for fire suppression.~The spaces/floors can be divided, attractive to both owner occupants and investors.~The supply for this type of property, and the availability to purchase them, is very limited.~High barrier to entry in this neighborhood.